Also: I am actually being MALICIOUSLY DEVOURED by the size of my TBR pile right now. It’s ridiculous. I don’t even know where half these books come from — THEY JUST TURN UP AND GLARE AT ME UNTIL I READ THEM. So I’m either going to (A) name July my Reading All The Things month, or (B) run away howling. THE TRIALS OF APOLLO: Because Riordan obviously. THE SHOCK OF THE FALL: It’s absout schziophrenia which I’m avidly researching for reasons. NEVER EVER: I have a huge infatuation with Peter Pan retellings. I perhaps own 5 now. SOLDIER (#3): I thought this was a trilogy….apparently it’s not? OH WELL, MORE DRAGONS FOR ME. THE INVISIBLE LIBRARY: Because libraries. I need no other reason. HOLD ME LIKE A BREATH: I’ve heard horrendous things about this one but, wickedly, that’s just making me more eager to read it. THE MEMORY BOOK: I wanted to read this one SO SO SO BAD!!! And then it turned up as a surprise in the mail?!? MY LIFE IS MARVELLOUS. BURNING: Okay this one sounds really good and weird?! It’s about Juvie and some creeptastic kid who comes to murder everyone I believe. Well. That’s exciting. DRAGONFLY SONG: I mean, go read the blurb. I don’t even know what’s happening in this book. NOT A CLUE. Apparently there are bushes and bull kings??? FORGETTING FOSTER: I believe this is about child abuse? I THINK I’M GONNA CRY. SOPHIE SOMEONE: Apparently it’s a mystery! FUN TIMES AHEAD. GIRL OUT OF WATER: The cover is SUSPICIOUSLY identical to Flirty Dancing. Hello designers??? Please talk with each other. THE LAST GOOD DAY OF THE YEAR: And it wins the award for most depressing title ever, oh dear. I hope they have a good last day???? Cake maybe???? THE BONE QUEEN: Because I need more queens and bones in my life. I have 0% idea what this is about BUT I ASSUME DEAD THINGS AND STABBING. LOCK AND MORI: I have seriously wanted to read this forever. Sherlock retelling! SHERLOCK RETELLING. 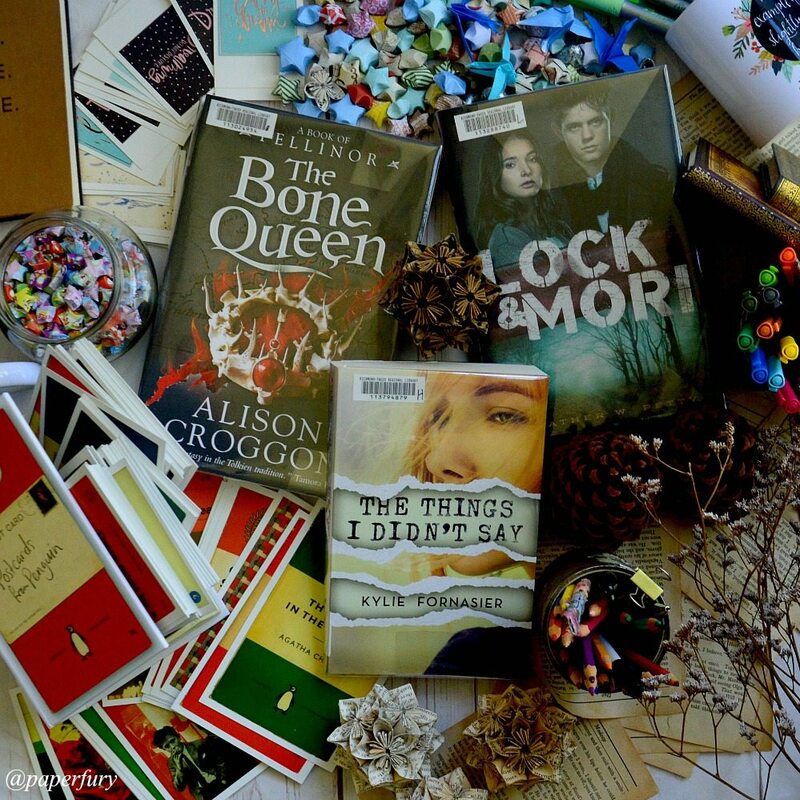 THE THINGS I DIDN’T SAY: Because Aussie books! And also because it’s about mutism which greatly fascinates me because talking is overrated. I would much rather type, personally, so I foresee this book and I being good friends. MAGIC BITTER MAGIC SWEET: BECAUSE MAGICAL BAKING OKAY?!?!? This one is from Edelweiss! THE RED FAIRY BOOK: I’m in the process of researching Koschei the Deathless for A RUSSIAN RETELLING I’M GONNA WRITE. Also this ebook was free in the public domain. BLOOD BULLETS AND BONES: In case I need to kill someone….HAHAHHAH JUST KIDDING. Ahem. 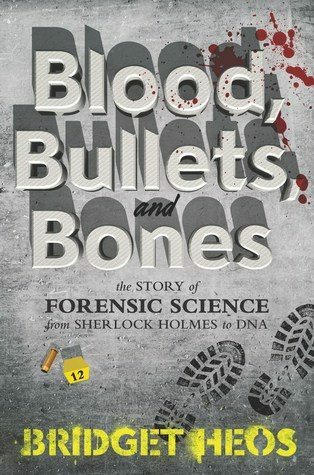 I’m interested in forensic things so yay for the approval on Edelweiss. I’M NEARLY AT 10,000 FOLLOWERS OMG HOW DID THIS HAPPEN SOMEONE HOLD ME I SHALL SHRIEK WITH JOYFUL GLEE. I definitely did NOT have an excellent reading month. SAD FACE TO ME. Although I did get stuck into the Death Note mangas (I blame Brett) but, while the first 5 were amazing, it just zoomed downhill, unfortunately. STILL. MANGA IS COOL. I AM A MANGA FAN. I WILL TRY MORE. B E S T B O O KS? “the weak get eaten wallpaper” — Frst of all, I would like to know what kind of house you live in that the wallpaper is so hungry, and secondly, do you need the Winchesters to come save you??? Because I don’t think this is normal. “throne of glass hate” — And you found my blog? SIT DOWN, FRIEND, LET’S HAVE CAKE AND TEA. “is too much reading bad” — Absolutely. Once you start, it’s VERY hard to stop. You start thinking for yourself, developing your brain, etc. etc. UGH. It’s all horrible. Just don’t read. Be safe instead. “why are hipsters scared of the sherlock fandom?” — Because hispters can’t LIKE popular things and Sherlock is so popular AND FUN, ergo, it’s terrifying because hipsters can’t betray their hipness by liking it. You see the trial here?? “killing characters makes me sad” — Kill a few more. You’ll get used to it. WAIT WAIT I MEAN, OH DEAR. THIS IS SAD. POOR YOU. “books for teenagers without romance or death” — Excuse me but what do you even want to read about???? What is left????? “is acotar steamy” — You might say that. It could also fair to be steam cleaned quite honestly. “aperfury.com” — I AM NOTE AN APE. HOW DARE YOU. THE FURY IS COMING NOW. “books that influence bad behaviour” — All of them really. The other day I read a dragon book, so I turned into a dragon rudely at all the cake in my house. If I wasn’t a bookworm this never would’ve happened. “please tell me the story of a beautiful mermaid” — NO. I mean, you did ask nicely, but I’m still feeling disagreeable after being called an ape. “i can’t relate to adults” — Me neither. They’re the oddest creatures. I try to interact with them only occasionally but mostly my crayons and cupcakes and picture books and I stay in my pillow fort. “i am an adult but i love reading ya novels” — Take out the “but” and put in “and”. You have no problems. “john green we were liars” — HE DIDN’T WRITE THAT BOOK. E LOCKHART DID. “con that begins with con artist giving you books to read” — Please someone write this book immediately then give it to me. IT’S FREE SHIPPING UNTIL THE 4TH OF JULY ON #SOCIETY6! The Star Touched Queen’s sequel (A Crown of Wishes) has a COVER and it’s PRETTY. Jay Kristoff explains how the Australian government is kindly destroying the Australian book industry. I am all the rage, truly. 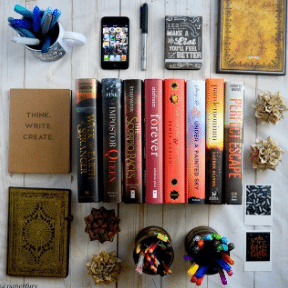 Emily @ Loony Literate wrote a list of books and suggested genre changes. Like what if Harry Potter was a contemporary? Or The Fault in Our Stars was dystopian? BASICALLY I COULDN’T STOP LAUGHING. THIS IS GENIUS. Liselle @ Lunch Time Librarian talks about writing diversity as a person of colour and she makes some incredible points. Best post ever basically. 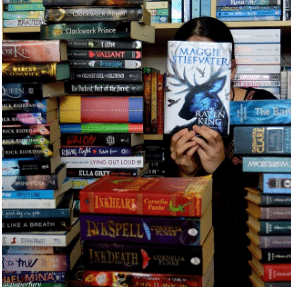 Nicole @ Feed Your Fiction Addiction asks if celibacy shaming in YA is a thing. Aaaand she talks about the perils of managing a large blog AND I RELATED TO THAT POST A LOT. Amanda @ Nellie & Co talks about blogger burnout and how to combat it. Marie @ Drizzle And Hurricane has a list of tips for newbie bloggers! “HUMANITY” HERE MEANING JAY KRISTOFF AND AMIE KAUFMAN BASICALLY. SO YEAH I AM THE WRITER OF 20 BOOKS NOW. WHICH IS KIND OF HUGE. I only need to write 2 more and I have one for every year of my life. Which is, obviously, #goals. Last weekend I wrote my YA Van Gogh retelling! It ended up as 78,000-words in 4 days. AND NO I DID NOT BLOG ABOUT IT. #shame But I do have a spectacular moody pinterest board which you can go admire. The truth is: it was horribly hard to write. It’s a mental illness story and while I don’t push myself to get things perfect in 1st drafts…I still felt the pressure. I FAILED AT THE PRESSURE. It will need so much editing I’m currently leaving it alone in a corner to see if it fixes itself. That’s logical, shhh. The #1 reason I disappeared without a trace is because (A) it’s totally mysterious and one must be mysterious occasionally; and (B) I totally just wanted to reappear and say “HEY BY THE WAY I WROTE 20 BOOKS IN THE LAST 7 YEARS”. I have my priorities in order clearly. Actually I have zero priorities and that is why my TBR pile is going to fall on my head and kill me presently. But at least I die having written 20 books! I KNOW I KEEP SAYING IT, I’M JUST KIND OF HAPPY OKAY LET ME HAVE THIS MOMENT. 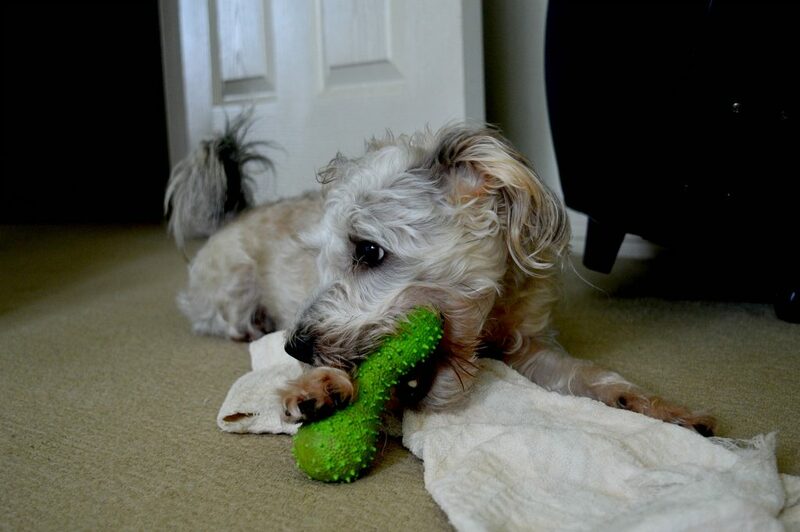 Here are some super cute photos of my dog Atticus for you to admire. He’s still monstrously evil and monstrously adorable. And he’s terrible at making sandwiches for me while I’m binge-writing. Absolutely useless. All he’s good is for cuddling. Sheesh. I’M GOING TO WRITE AN ADULT EPIC FANTASY. YEAH I DON’T KNOW WHAT I’M THINKING EITHER. But it’s going to be amazing. Behold the pinterest board if you dare. Also if you’re not following me on twitter, you’re missing out because I’m hilarious. This post is rather monstrously long. Blame it on my lack of blogging recently and my heartfelt need to tell you all the things. But I shall shush now. I SHALL. I shall take my overactive brain off and let it create more dastardly story ideas that I have no time to write. FARE THEE WELL! READ THE INVISIBLE LIBRARY FIRST! …You saw that coming a mile away, didn’t you? I’m doing Camp NaNo! But I’ve been trying to plot it for the last week and it just isn’t coming together… I’m now thinking that I’ll just bung down the key events in a word document and hope they all connect in the first draft. YOU’VE WRITTEN 20 BOOKS?!? I’ve written, like, three (okay, the first one wasn’t exactly novel-length, but I was thirteen and very proud to have finally finished something), and a lot of short stories. Hoping for the best is an excellent writing methods. Sometimes I bribe my outlines with cake or just send them to the corner until they can sort out their evil ways. None of it works, of course, BUT I’LL KEEP TRYING AND HOPE MY NOVELS COME TO THEIR SENSES SOON. You’re writing a book? Oh wow, this is amazing! Good-luck! (*and crossing my fingers for me too that I’ll finally be able to finish my own story*). Do you have any advice for when you can’t seem to get from point A to B in your story and you end up giving up? I’m desperate. Hope you’ll love it too! Omg thank you, Zoey!! *flails happily* OMG AND GOOD LUCK TO YOUR STORY TOO!! I hope it behaves for you! I do a lot of outlining, so that helps me not actually get stuck while writing. Like I always know what scene I’m heading to next. *nods* And if not, I’ve heard some people skip the problematic bits and then go back and write them. That might help? I saw this and found myself chanting, “CAIT IS BACK. CAIT IS BACK. CAIT IS BACK.” While throwing figurative confetti ALL OVER THE PLACE. And then I was going to flail about your adult fantasy thing but ATTICUS. *flings cake crumbs in the air in joy* YES. SO BACK. SO VERY BACK. And omggg, I’m so glad you like the boards. <33 I mean, it's not like I procrastinate on pinterest a lot. Nooooo. Definitely not. Not me. Nopity nope. Van Gough retelling!? Oh my godddddd, that sounds damn awesome. I haven’t read much last month, but right now I’m reading the SAGA graphic novels, and DAMN, they’re witty & hilarious & so awesomely sci-fi. Also hoping to get to ACOTAR sometime this month, but I also want to focus on my YA sci-fi revision. Decisions, decisions. OH oh I keep hearing about the SAGA graphic novels and I do want to try them! (Although *glares at library for not having them* I don’t know when that’ll be.😂) Ahh, those revisions demanding time and attention. Sheesh. It’s like we raised these books to be self-sufficient but all they want is time and attention. PARENTING NOVELS IS HARD. Okay, this comment is only going to be short. But I absolutely adore your Twitter and blog! You are the most hilarious writer and I can see that you put so much passion and love into your writing! I have only just started my own blog (and by only just started, I mean it’s been 7 months…) and you are actually my real life blog idol. Okay, that comment wasn’t as short as I though it was going to be… But I just thought it’s always nice to hear some nice comments! Love your work! Keep it up! After a few days of checking back on your blog with no new post I GUESSED THAT YOU HAD RETREATED TO YOUR WRITING CAVERN AND WROTE ANOTHER BOOK. Tomorrow is the Amy Zhang + Andrea Portes signing and I am so excited to meet the two! *emerges victorious from writing cavern* YES I AM BACK. Usually I do say I’ve gone on hiatus.😂 But, omg, so lazy this time for some reason. Ahem. OF COURSE YOU WERE RIGHT, YOU KNOW EVERYTHING, CLEARLY. I’ve never seen that cover for THE LOOSE ENDS LIST before. I’ve also heard some worrisome reviews about this one, eeep. I still kinda want to read it, though? To be shocked and disgusted for myself. Also THESE SHALLOW GRAVES – no zombies to be seen, but it is an AMAZING book. I devoured it and it was such a thrilling historical fic. I wish I could read it again for the first time! I hope you love it as much as I did!!! AND WELL DONE on writing so many books *hugs* I’m struggling to finish one! Omg you did?!? AHHHH, I don’t know whether to laugh or be embarrassed.😂 Someone CLEARLY should not take hiatuses because they come back with too much to say.😂 Ahem. YES NEVER EVER IS SO SO PRETTY EEEEEP. And yes the Mirror King is like 500+ pages, I think. I mean, I could check, but I’m under a gazillion warm blankets and it’s on top of my bookshelf. #lazy Ahem. But the first book (The Orphan Queen) is normal sized, so IDEK what happened to the Mirror King there. It ate all its greens and grew up too big?? Hmm.😂 AWK. I loved Talon!! I’m totally a minority for it, I know, but I just think it’s so fun. PLUS DRAGONS ARE SO MUCH WIN FOR ME. I’m doomed to enjoy them. YES I HAVE MISSED YOU. AND YAY FOR WRITING. June was horribly unproductive for me and I’m hoping July will be better. YES CAIT I MISSED YOU XD No joke, your blog is my favorite and also your overall optimistic presence on the interwebs. As a matter of fact, I read several spectacular books. (SUCH AS: When We Collided and The Winner’s Kiss). Honestly, it was a pretty great reading month. I mean ever since I started DNFing books I’m not enjoying, every month has been a pretty decent reading month lol. Also, I’ve been playing catch up and reading all those amazing books, bloggers were recommending months ago. I WANT TO DO CAMP NANO…but I just started plotting a new project (YA Contemp I suppose) and I’m on the fence about it..Like these writing challenges just stress me out and I feel like I get to the point where I hate my WIP, even faster?? Like on average it takes a month. But with NaNo it takes a week or two and I’m reading to ditch lol. So I’m basically a shrug emoji right now. Sigh. ALSO: PLEASE NEVER STOP WITH THE RECAP (Fury???) POSTS <33 These honestly make my day XD I literally got back from a run and I settled down and I was like, "yasss my fav blogger just posted one of those awesome recaps!" Omg double YAYS to The Winner's Kiss. <33 That book is basically everything. The ending was perfect, PERFECT I SAY. *sobs happily* And good on you for DNFing. I still wish I could do that. Ugh. I just finished a book I should've 100% DNFed. -_- Ahem. 78,000 words in 4 days!?!? Tel that dog to make you a sandwich. A Van Gogh retelling?? That sounds amazing, I love Van Gogh in general, haha! And well done on having written 20 books!!! Obviously you need to celebrate with cake. Lots of it, because writing = very painful (but also amazing because writing). OMG HELLO REBEKAH IT HAS BEEN A WHILE!!! I hope your school stuff has been going well!! CHOCOLATE CAKE FOR YOU MY FRIEND. *flings cake crumbs of joy everywhere* Ahem. Anyway. What were we saying? Oooh, yes, ALL THE PETER PANS. I’m going to do a massive Peter Pan retelling comparison post someday.😂 when I actually read them all and stop just petting the covers and crooning. *whispers* I have like only read Tiger Lily so far.😂 Which I loved!! AWWW YOU NICE BEAN OF NICENESS. <3 I have no clue where I should start either so that makes two of us. *collapses under mountains of books* 😂 I'll probably re-read something instead which is sensible I knoooow. AHEM. Hey Cait! Welcome back. Phew that was a long post. I am sure you were full of stuff to talk about because of being silent for a WHOLE WEEK. 🙂 Congrats about the book. Way to go. That is HUGE achievement. Good luck with more edits to the novel. And congrats again for 10K on Bookstagram. I remember it was one of your goals in the beginning of the year right? And YES I loved and adored The Girl with all the Gifts book! I read it a few years back…omg I was going to say last year, but probably the year before?! TIME BLURS WHEN ONE IS READING. But I didn’t know it was going to be a movie! *shrieks* I cannot wait for it. I need to be terrified, obviously. It sounds like you’ve been busy. Those search results are hilarious. I guess some people use search sites very differently than I do . . . YES, very busy.😂 But having fun, so that’s good, right?! And omg I have no idea how those people even find my blog half the time hahahah. You wrote a novel in ten days?! That’s insane! In a good way! Tell me your secret please! No, seriously, cause I have one that’s been in the process of writing for eight years. That makes me sound old. I’m not! I started it when I was fourteen. See!? 22. Totes not old at all. Ooh, and read Sophie Someone. I’m interested! Never read it before. . . but you can tell me if it’s good, yeah? Hopefully I’ll be reviewing Sophie Someone on here! And then when I do write, I need to edit it, because I can’t stand writing more crap. *Shudder* Quite possibly the worst thing in my mind. Seriously. Lock me in a snake pit dangling from a rope. That’s MUCH preferable than having awfulness written on my screen. So, then I edit. And edit. And rewrite. And edit. Then I send it out to friends and family. And then I have more to edit. It’s a vicious cycle that never ends. *Sigh* Oh well. By the way, the high fives you give out over your comments are quite possibly the best thing ever! But, I mean, at the end of the day….I want to have a book published. So that’s what motivates me! And I actually do write really horribly for my first drafts. IT’S VERY FREEING. I used to be such a perfectionist, but now I’ve given myself permission to write absolute crap for the 1st drafts. Because once it’s written you can edit. *nods* I know that doesn’t work for everyone! But being a perfectionist and editing-as-I-wrote was killing my muse…so I had to change something! I DID notice you went missing! I was like is it book writing time again? Did I miss something?? 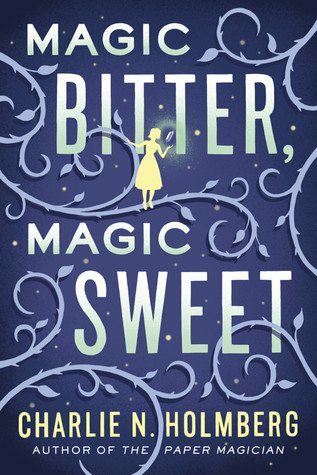 I love reading what you expect books will be about hahaha Also I just got Magic Bitter Magic Sweet on netgalley (it was in the Read Now section yay) because BAKING AND MAGIC. CONGRATS on 20 books, you rock! And I am eagerly awaiting that adult fantasy of course. Who even can relate to adults? They’re such weird creatures. I try not to fraternise with them too often. If it makes you feel any better, my TBR list is 273 books long at the moment. On a brighter note, this post made me laugh out loud a couple of times! Glad you’re back! Glad to hear you enjoyed Death Note, it’s one of my absolute favourite mangas/animes. SO GOOD AND MY GOD THE TENSION. I’m so intrigued by this YA Van Gogh story! YES THE TENSION IS INSANE OMG. I’m so so sad That Character died though. *weeps for 10000 years* I’ve got the last one to read yet BUT HOPEFULLY I’LL DEVOUR THAT TODAY. Eeeep! And thank you so much for linking to one of my posts! And for complimenting it so highly, I may have swooned. Yes! I always thought I’d be a 1000% YA author, but everyone keeps telling me my books are too dark.😂 So I’m like “fine then, I’m going to do an adult and everyone will die and no one can complain”.😂 Although technically I’m aiming for just New Adult-ish? I think the characters will be in their early 20s. MY AGE. HALP. 0_0 Ahem. My TBR is going to squash me. It 1000% is going to. IF I EVER GO PERMANENTLY MISSING, SOMEONE COME DIG ME OUT OF THE PILE OF BOOKS. STILL ALIVE! Mostly…for now…😂 Hahhahah. Oh dear what have I done with all these books omg. Honestly the bookworm life is absolutely fraught with peril. IT’S AMAZING WE BOOKWORMS ARE EVEN STILL ALIVE. Congrats on book 20 !!! I’m still trying to finish book one all the way through, but working on like 5 ideas so maybe one day something will finish its self. YAY welcome back Cait *waves* and of course I needed your humour somewhere this past week (found on your twitter). Congrats on all that writing, and 20th book?!? – now I know as much a rabid reader as writing. Also why do all your book ideas sound so unique and amazing and those pinterest boards – tell me more tell me more!!! I see you have acquired some very intriguing books (why you gotta make me add more books to my TBR?) Those are some very perculiar searches that lead to your blog. I can hardly call my June a reading month – such a long reading slump *shrieks in frustration* so equally being devoured by the TBR here. YES, at least I hadn’t abandoned twitter. :’) I mean, that would just be unheard of if I completely exited the internet.😂 If that happens, people can be truly worried. hahhaha. Ahem. And AW THANK YOU! I’m definitely a rabid reader and writer. Although more to the books. hehe. I missed reading this last week so it’s good to be back devouring them! And goodness knows I need to read a LOT right now with all these books. *dies a little* And your TBR is welcome. I KNOW IT THANKS ME. THE OTHER SIDE OF WHAT, KIRSTIE. WHERE EXACTLY ARE YOU? THE EVIL REALM? THE UNDERWORLD? What what what HOW DO I NOT OWN THE NEVERLAND WARS??? OMG FAIL, CAIT. I shall get that on my wishlist immediatley. I mean, I’ve actually only read ONE Peter Pan retelling.😂 But I’m collecting them like nothing else because #obsessed. Peter Pan is my hero obviously. *whispers* freeeee shiiiiiping, Kirstie. Make sure it’s a large bridge so you can fit all your books and mugs under with you. I recently bought a copy of The Invisible Library for practically the same reason – what other reason could you have because it really sounds fantastic. I still need to read Lock & Mori – I’m not sure why I’ve put it off for so long actually. I’d say that gif is pretty accurate, too! The best books I’ve read this month are definitely Ink and Bone, Jonathan Strange & Mr. Norrell, and Furiously Happy. I’m currently reading the ARC of Paper and Fire and I’m loving it so far! AHHH THANK YOU, LAUREN! I was really pleased to hit the 20 books mark. :’) And zomg yes, nothing can go wrong with books about books. They’re basically DOOMED to be good because what bookworm isn’t already obsessed with books, right?!? I’ve heard Lock & Mori isn’t great but pffft, I’m ignoring that advice and HOPING IT’S AMAZING BEAUSE I NEED MORE MORIARTY IN MY LIFE CLEARLY. Omggg YAY FOR INK AND BONE. See?!? Bookworm win for library books. 😂 I cannot WAIT for Paper And Fire! I just won a copy and I’m so excited. Eeeep! I love your latest WIP’s story board. It looks so ominous. Where did you find all those awesome pins? I have a hard time when I try to storyboard on Pinterest. Maybe I’m just not looking in the right places…? I’m actually reading Death Note now, and I’m on Volume 3. I had heard that it goes downhill a bit later on, but I’m really enjoying it so far! Death Note is AMAZING at the beginning! But omg read NO REVIEWS.😂 People are really free about the spoilers which is frustrating. Welcome back to the wonderful world of blogging. You were not missed! Also, congrats on finishing 20 books… how do you even… gaahhh..
June was OK. I acquired a bunch of books (unintentionally) from this used bookstore that was on campus all along, and looks like I was the only person who was clueless. Now I wish I had remained so. Money … damn money… is lacking these days. I didn’t read anything great. Going through a bit if a reading slump because… I don’t know what to read… there are way too many options. The downsides of (technically) living inside a library… and a very resourceful library no less. I’m in the middle of reading 5 books right now. Yupp. Umm by the way… not sure why my phone decided to add a “not” before missed. YES. You WERE missed. Terrible, in fact. Do excuse my poor excuse of a ‘smart’ phone. By the way, on Death Note… didn’t read the manga, but if the anime was faithful to the manga then I TOTALLY understand why the last half was so disappointing. Totally feel you dude. Like… what the heck just happened here??!?? Money though, omg. It just seems to fly away in the face of books. WHO KNOWS HOW THAT HAPPENS. IDEK. Ahem. But yay for acquiring (accidentally) new books still. 😉 I hope they’re good! BUT WAH TO THE READING SLUMP OMG NOT FUN. Honestly choosing is sometimes the hardest part of being a bookworm. And I haven’t seen the Death Note anime yet BUT I THINK I’LL TRY IT??? Maybe? ?😂 I just have never seen anime so I’m a bit curious! I have the last DN to go so *fingers crossed* I at least like the conclusion?!? WHAT A MONTH IT WAS CAIT. Glorious books to read. Undoubtedly glorious book written. Death by TBR (again). Manga! Covers! Trailers! Death by excitement, probably. Also, I’ve heard the manga of Death Note goes downhill after a while yeah. :/ The anime does too apparently. But still yay for you wanting more of the manga! And boo to manga for making me read all other comics the wrong way now. I R CONFUSED NOW. I feel like I should just say “permanent death by TBR” at this point.😂 I’m kind of despairing ever catching up. Like if I possibly acquired NO MORE BOOKS AT ALL for the rest of the year I could??? But hahahhaha as if that’s going to happen. I do want to try the Death Note anime at least! Because I’ve never seen anime. hehe. I just think it was too long without enough interesting plot to begin with. I’ve got ONE MORE TO GO. I hope I like it. Eeeek. OMG THESE SHALLOW GRAVES AND THE INVISIBLE LIBRARY WERE SOOOO GOOD! YOU MUST READ THEM!!!!!!!!!!!!!!!!! I read These Shallow Graves this month, and I think it was my favorite book I read this month. I also really enjoyed Queen of Hearts by Colleen Oakes. I also loved the last book in the Age of Legends trilogy by Kelley Armstrong, AND OMG IT SO AMAZING I CAN’T EVEN. It was soo dark and bloody and murder-y. My reading month was quite good. I did quite a bit of writing this month too. My Wattpad story Gearbound reached 200 reads, and that was really exciting, and my Carmilla fanfic reached 5k, and that was insanely awesome. I won’t be doing Camp NaNo, because it all just sounds so stressful, and I don’t do well at all under stress. ALSO YOU WERE GONE SO LONG I THOUGHT YOU WERE DEAD OR SOMETHING. I WAS LIKE, ‘WHERE’S CAIT?! I NEED MORE OF HER BLOG POSTS!!!!! !’ I was so relieved to see this post in my inbox lol. I definitely intend to try these Shallow Graves this month!! I hAVE SO MUCH TO REVIEW OMG.😂 And ohhh Queen of Hearts is good?!? YAY. I really wanted to read that one because RETELLINGS = YES. Particularly Alice ones. I am very attached to mad and nonsense retellings. I die every time at the search terms. THEY ARE… well, I don’t actually know what they are… ENTERTAINING(?)! Omg congrats on your As!!! THAT IS MARVELLOUS. CAKE FOR YOU!!! It is a sad, sad world. They speak of freedom, but WHAT IS FREEDOM WITHOUT DRAGONS??? Haha, thank you! Nice haul. Enjoy reading all these great books. Welcome back! Yayyy, thank you, Marilyn! YOU ARE SO NICE. I did miss you. I click on your icon in my bookmark bar everyday, and there was nothing new. After 4 days I was like “WHERE IS SHE? !” I’m glad you back now though, with my favorite posts. I had a pretty good June, it was my sister and my moms birthday (that means we got CAKE!). I read a Court of Mist and Fury, which I loved (72262919 stars). I started The Last Star by Rick Yancey, and I should finish it by Tuesday. I did see The Girl With All The Gifts trailer, and then was like “THIS IS A BOOK? !” Now I am definitely going to read it. I also saw there will be an Assassin’s Creed movie (*me running in circles because my brain just died*), there is a trailer and it looks beyond awesome. I think it is my new favorite movie. Plus Atticus is wildly cute! What type of dog is he? Omg you MUST read The Girl With All The Gifts book! IT IS AMAZING. It’s the best zombie book of ever!! I’ve seen the Assassin’s Creed trailer and YES IT LOOKS AMAZING OMG. Atticus is a schnoodle. 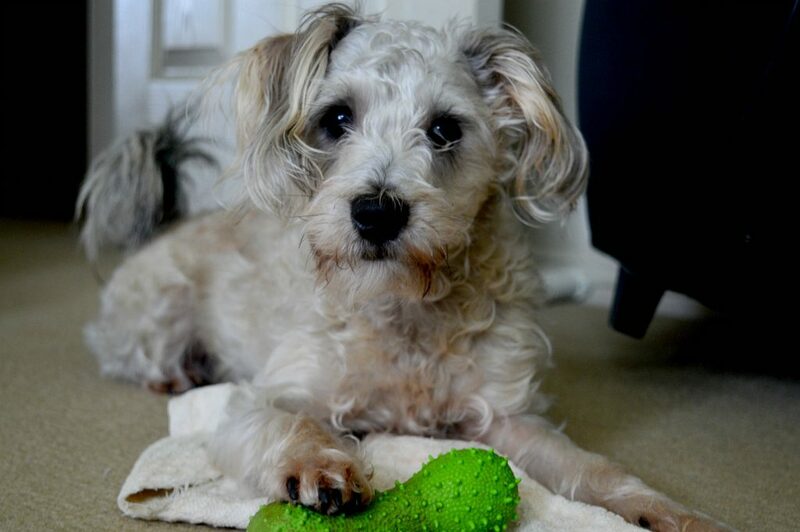 :’) So poodle x schnauzer. And I tried to name him after a kind caring genius BUT YEAH THAT BACKFIRED HE IS A LITTLE DEVIL. BUT I STILL LOVE HIM. 20 books!!! What??? And you are only 22? Now that is an accomplishment. I wish I could write at least one book. Also, how are your pictures so beautiful? I mean you are a writer, photographer, great blogger, and hilarious. Glad you are back. All those books you have acquired look awesome, and I am looking forward to hearing your thoughts on them. Plus your dog is so cute, but on top of that I love its name! Ohhh, congrats on your internship! THAT IS AMAZING. CAKE AND CONFETTI FOR YOU. *sprinkles cake in your hair and eats confetti* Plus writing??! AHHHH, SARAH, YOU ARE ADMIRABLE RIGHT NOW. I can’t even balance writing + anything else.😂 I just hole up and write and write and basically the rest of my life ceases and humans forget my name. But ’tis worth it. :’) And aren’t all we creative people insane? THE BEST PEOPLE ARE MAD, WE KNOW THAT. Thank you! *picks cake out of hair* And if I was actually writing a great deal, I don’t think I could handle it . . . but I’m sticking to a low daily wordcount and so it’s working out pretty well! AND THAT IS TRUE; THANK YOU FOR REMINDING ME! Firstly, I DID miss you and your humor which is able to brighten up my day! Secondly, you wrote ANOTHER BOOK?! Please, please share your secrets, I’d be grateful for that. I think I’ll hire dwarfs to write the story for me because I simply cannot force myself to do it. Though I guess I shouldn’t be forcing myself. Awww, you’re NICE. :’) I feel much missed and loved. AHHHH, YES.😂 Well, I do just take time off to write. So I’m lucky to have the opportunity to binge-write. 😛 But omg these 1st drafts are the messiest things of ever. Just so you know. Editing takes me at least a month! USUALLY MORE. OH MY GOSH CAIT WE MISSED YOU BUT I DON’TEVEN KNOW WHY BECAUSE LITERALLY I JUST OPENED TWENTY MORE TABS. MY LAPTOP HATES YOU AND THERE IS A GOOD CHANCE IT WILL BREAK. IT’S ALL YOUR FAULT!!! YOU LOVE ME, YOU KNOW IT’S TRUE. YOUR COMPUTER LOVES ME TOO, YOUR INTERNET LOVES ME, YOUR COMPUTER THAT IS ABOUT TO EXPLODE LOVES ME. I DENY EVERYTHING. AND I SPEAK FOR MY COMPUTER AND INTERNET TOO. THEY DENY EVERYTHING. EXCEPT THE EXPLODING PART. THAT IS TRUE. I need Magic Bitter Magic Sweet like right now, thank you very much. Annnd I knew about the Girl With All The Gifts movie, but it used to be called She Who Brings The Gifts or something along those lines, and I think it’s still being released in the US under that title, although I much prefer the original. And what I WAS going to write for Camp NaNoWriMo I’m not actually going to write for NaNoWriMo and instead I’m going to write a magical realism novel about a girl who can feel emotions through skin contact and a boy who collects storms in jars and a girl who may or may not be a ghost. Right now I’m calling it The Beautiful Wild Things. I want to do Camp NaNoWriMo, but really I should do “Camp Write Some Academic Papers That Are Due.” So, yay. Sweet Moses Cait, the pinterest boards to your books are amazing! They sound so freaking epic and amazing. Congrats on writing 20 books and here’s to many more!!! I quite enjoyed the Invisible Library so read it because libraries! And espionage! And alternate worlds! Ohh, is that good or bad opinions on Magic Bitter?! ?😂 I’ve actually heard it’s dodgy, but I’m HOPING HARD that I like it. I’m going to be wildly displeased if the magical cakes are not tasty. I’ve been putting off Ink and Bone because it’s about the Library of Alexandria right? I have a WIP about it so I don’t want to mix things up in my head! (yet) But I will read it eventually! YES maybe it will edit itself! They do that, right!? OH THAT MAKES SENSE. *nods* I usually avoid books that seem to similar to mine until I’ve finished writing something. haha. Ahem. OH NO SERIOUSLY?!?! I’m crying about Magic Bitter. 🙁 Hoooow can one ruin the potential of magical baking omg. THE SHAME. 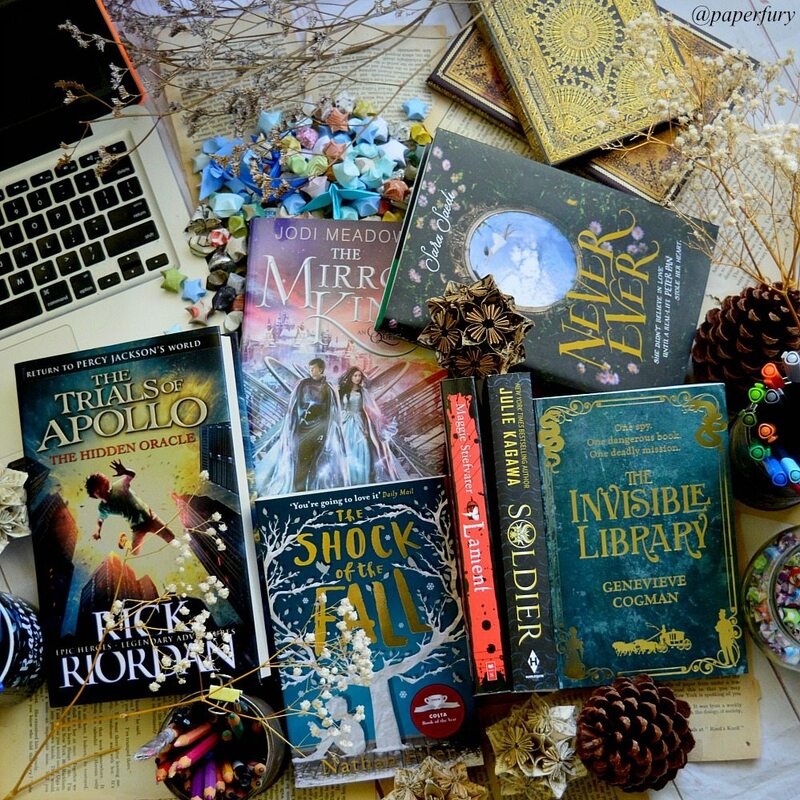 Thanks to this post, my TBR is going to explode. I’m a sucker for any book with the words “bones” or “Queen” in them, just like you. Also, yes to the Sherlock retelling. I always need more Sherlock in my life. Why oh why must we wait so long for the next three episodes? I mean, I know why, but still. Congratulations on finishing your 20th novel! Holy cats, that is seriously awesome and super impressive. Here, have another piece of cake to celebrate. I just finished the first draft of my second novel and am diving into my next project for Camp NaNo. And omg ME TOO about bones and queen books. It’s honestly a problem sometimes. I was looking at all my fantasy books the other day and like 80% of them are either queen/king/prince/princess.😂 And no regrets. I LOVE STABBY ROYAL BOOKS. I have no idea why Sherlock takes so long to come out honestly, omg.😂 I kind of prefer Elementary I think, but I do like how clever the BBC Sherlock’s plots are! Oh my God, The Shock of the Fall has SUCH a gorgeous cover. Ahhhh you poor baby!! I WILL SAVE YOU FROM YOUR TBR PILE *sweeps in with a cape and sword* but seriously, I’m being devoured not by my TBR pile, but by the 1468-page book I’m currently reading. It’s the unabridged Les Miserables by Victor Hugo, and it’s surprisingly good but discouragingly long. My goal is to finish it by the end of this month and move onto some more Anne Rice books. Congrats on finishing your 20th novel! I’m working on my sixth novella for Camp this month, and I’ve finished one novel before – but usually they take too long and I get distracted before I finish them, so most of my novels are still in infant stage. I’ll be interested to see what you think of The Things I Didn’t Say! I’ve been wondering whether or not to read that. That reminds me of the Hipster Paradox, as explained by my best friend – the whole definition of hipster is being not mainstream and uncommon, but then being hipster has become something really “cool” in recent years so everyone is hipster, therefore being hipster isn’t hipster anymore, but it is because hipster is mainstream…..if that made any sense. UR DOG IS SO CUTE I JUST WANT TO SNUGGLE HIM FOREVER. And congrats on YOU for your 6th novella! I shall be here cheering you on in your Camping writingness! *flings confetti in your hair* AREN’T I MOTIVATING AND KIND? I KNOW. I KNOW. I’m quite keen to read The Things I Didn’t Say because I was a bit eh eh about the author’s first book. This one seems like more my kind of thing though sO ALL THE EXCITE. And YES. I agree about the hipster paradox. Too many hipsters = they’re not really hipsters anymore, eh!? This June I discovered your blog! And it finally gave me the kick I needed to believe that book/writing blogs really do work and could fit me, so thanks for that! Please please please read Never Ever first and tell us if the romance is flail-worthy or not (I have a lot of opinions about Peter Pan retellings and they all revolve around their core romances). ALSO I know nothing about Camp NanoWriMo and their about page isn’t super informative. What do you know about it? Do you recommend it? Is this what I should do with my free time instead of binge-watching the Great British Baking Show? You would not believe the cakes I’ve seen. You would not. Believe. And I’ll definitely squee about Neve Ever next recap I’M SURE. If I get to reading it.😂 I want to though because SO EXCITED OVER ALL THE PETER PAN. I think I might have read one book last month? Twinpathy by C.B. Cook. It was a good book. Superheroes and twins blend well together IMHO. I’ve been too busy editing the second book of my Rizkaland Legends and writing the third book. I may be insane. I’ll get back to you on this one. I did miss you, by the way. More of an “I haven’t seen any posts from Cait recently. Did she take a hiatus without telling us?” miss you, though. And read Trials of Apollo. You’ll like it. Riordan broke out of his usual plot model for it. Oooh superhero books are FUN. Although usually I prefer the movies to the books haha.😂 And aren’t all creatives and artists insane?! COME NOW. As Alice in Wonderland says, ALL THE BEST PEOPLE ARE MAD. Pfft, I’m sure you were weeping buckets without posts from me. DON’T DENY IT KENDRA I SEE IT IN YOUR EYES. AH your speed writing capabilities are amazing, can I borrow them? I have set myself a goal of 8,000 words to write for camp nano this month. I really really really want to read The Invisible Library – hope it’s good! I’m reading The Memory Book right now and I really love it, so hopefully you will too. Aww, thankyou!! And I hope you do get a chance to get started on your ideas!! It’s really hard to squish writing time in, sometimes, I find. Hence I binge write.😂 And YAY about The Memory Book!! I’m only hearing good reports about it SO THAT’S A RELIEF. I need some excellent reads this month, hehe. WOW your 20th book?! Cait that is freaking amazing, I hope you are celebrating with lots of books! 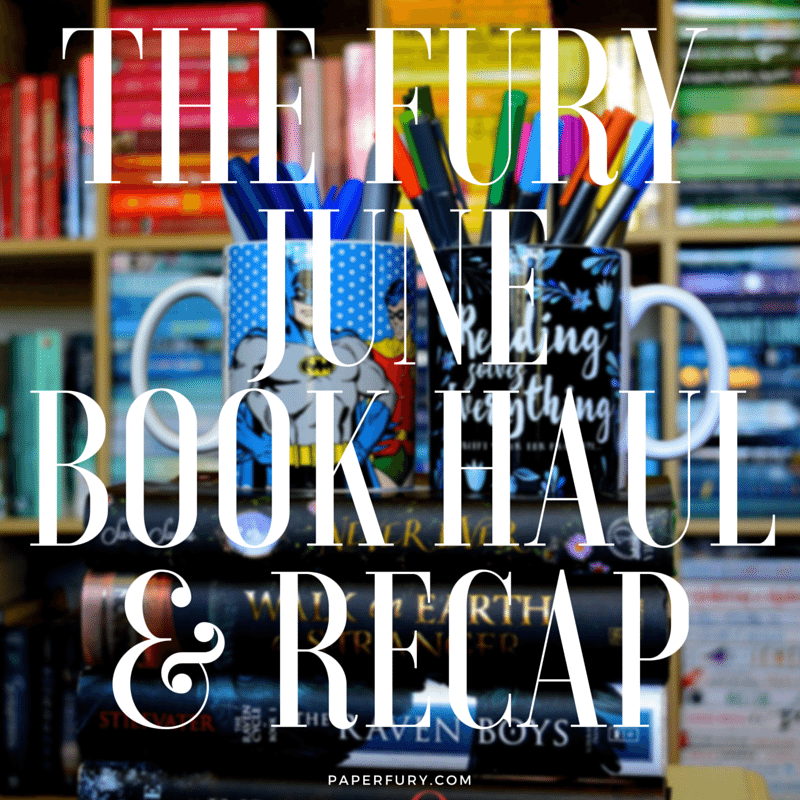 Beautiful recap, I feel like I’m falling under my pile of books at the moment (especially since I have to pack them!). So many new releases from publishers, I have’ heard good things about the Memory book! OH NO! I’m disappointed that you didn’t like Frankie, because I’ve heard such great things about it! But yeah, the Leaving was disappointing for me too. That’s freaking amazing about the adult epic fantasy! Have a great week Cait! OKAY I KNOW I ALREADY HAVE YOUR DRAGON BOOK AND I AM READING IT VORACIOUSLY BUT I NEED THE VAN GOGH RETELLING. Just saying. Also omggggg I read Whisper to Me because you loved it and I ALSO LOVED IT. We both liked the same book for once. Wonders will never cease. Get cracking on those two more books though Cait, geez. Aww, we agree on more books than that don’t we?!? I think…omg I have no idea.😂 I’m gonna go stalk goodreads and see what else we agree on. BUT YAY THAT I ACTUALLY LOVED A CONTEMPORARY FOR ONCE, RIGHT?!?! GO ME. But I know, shame on me. True slacker. I could’ve written another novel by now. 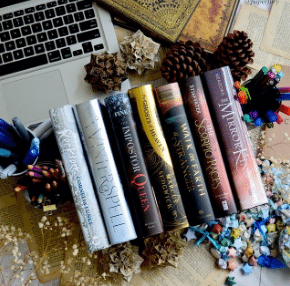 Recaps are my favorite posts to write – and to read! I always love it when we get to the last days of the month, because everyone shows what they’ve done the entire month. Never ever is waiting in my shopping car for next month. I can’t waaaaait. I also have those fairy books by Andrew Lang. I’ve read one and I love it. So I have added 1 million more books to my TBR pile because of you. You should be ashamed. All of those books sound amazing!! And that TRAILER FOR THE GIRL WITH ALL THE GIFTS. LIKE, YES PLEASE I WILL BE WATCHING THAT. Though I am curious… Is blogging your job/does it make you enough money to buy all the cake you need? And yes YES 20 is definitely more than 6, which is a lot *nods* And I accept all accusations of queen quite gladly, THANK YOU LAURA. And haha, no I don’t support myself through blogging/writing. *cries* MAYBE ONE DAY THOUGH. I am fairly new to your blog and didn’t even realize you were gone. I promise it will never happen again. Omg it’s okay! !😂😂 I wasn’t gone for VERY LONG anyway, right?!? And yes! The “oodles” are very cute.😂 Although very anxious. Was yours anxious??? Mine is just a mess half the time…and very disagreeable haha. AND YES VERY SMART. Except when it comes to the mailman. -_- Atticus is convinced the guy is a murderer potential or something omg. Oh, yes. She was very anxious. I think maybe it’s because these dogs are smart. I don’t know if you really see anxiety in dumb dogs; they don’t seem to realize there’s anything to be anxious about! The intelligent ones ALWAYS worry too much…humans, dogs…ahem.😂 And yes, omg, I’m 99% sure Atticus is going to kill himself when he goes after that postman. He’ll basically fall down our HUGE flight of stairs to get to the door and bark in time. Argh. If I ever go missing…PLEASE COME DIG ME OUT, KELLY. YOU’LL FIND ME UNDER 93839 BOOKS PROBABLY. And YAYYYY for Apollo!! Omg I’m so excited for it! Although kind of annoyed because I thought “omg I’m buying the hardcover because pretty!” and it’s like the TALLEST hardcover in the world and doesn’t match anything else in my shelves at all. -_- Internet shopping, omg. It has its failing. Bahah, I shall tell my parents you said Atticus looks like he’s just been groomed! He hasn’t been groomed or bathed for like MONTHS.😂 We’re horrible owners tbh, but he hates both so so much and it’s too cold anyway. For shame to your baby and my dog. I mean, what is the use of these minions if they can’t even do the most BASIC things for us?? Sheesh. I WON’T TELL.😂 But hehe, sometimes it’s okay to have a break right?!? I’ll probably be majorly slacking off this July that’s for sure.😂 CAKEFITTI SOUNDS GOOD THANK YOU. Congratulations on 20 books!! That’s so ridiculously impressive that I don’t even know where to begin. 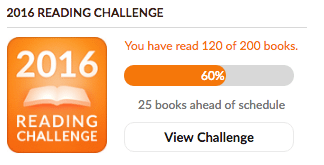 20 books is a lot of pages. And a lot of words. And a LOT of hard work. And from reading the little snippets of books you’ve shared with us, I’m sure they’re all AMAZING! I know the cover of These Shallow Graves pretty much screams “ZOMBIES!! !” but it’s not a zombie book. It’s a mystery, and besides the love triangle, I really liked it! Hope you do too! I’m a little bit in love with your Currently Procrastinating Everything design. I think I’m going to get it as a laptop case. Or a pillow. I can’t decide. I read The Unexpected Everything this month, too, and it’s my favorite contemporary of the year and favorite 2016 release so far! (Keeping in mind that this has not been a big contemporary year for me and also I’ve read maybe 10 2016 releases.) But I loved it! JUST PROCRASTINATE THE DECISION. THAT WILL BE PERFECTLY APT. Where is my tea and cake? I just got The Hidden Oracle Saturday and already read it yesterday. Oops. I meant to savour it but you know, no self-control and all. I’m somewhat curious about the Julie Kagawa dragon series, because dragons, but I wasn’t a fan of her Iron Fey series so I am very hesitant to pick it up. *sprinkles cake crumbs in your hair* THAT’S ALL THAT’S LEFT BECAUSE I ATE IT ALL AND HAVE NO REGRETS MWHAHAHAH. Ahem. I loved Talon!! I’m totally biased to adore it all though because DRAGONS. 😂 I haven’t read the Iron Fey series yet either but I SHALL AT SOME POINT. Well, I did not write a book this month. But I did edit one, which I’m really proud of, and I’m partway into worldbuilding a fantasy. (and I discovered a book plot that I don’t even remember plotting, so hellloo companion novels.) I also went away and visited some places I lived in as a child and went hiking which as pretty awesome. One AMAZING book I listened to was The Memory of Light, a really cool, diverse book about depression and friendship and healing. OH OH I want to read Memory of Light quite badly! I’M GLAD IT’S SO GOOD, EEEEP. Have you read Marcello in the Real World? That’s by the same author and I really liked that one! Congrats on reading your 20th book!! That is amazing! The books you received are amazing. I didn’t really care for Hold Me Like A Breath, buuuut I really liked the sequel. Go figure, right? And I don’t know what The Invisible Library is about, but I am assuming it’s about libraries which means I MUST HAVE IT!! YAY YOU’RE BACK! My life can continue now that I can finally read your amazing posts again. Thanks for saving me Cait 😛 Why don’t you howl at your books? I think that would be good. *nods* YAAAAS YOU NEED TO READ THE MIRROR KING. I’ve read The Loose Ends List but I haven’t read any of the other publisher books you mentioned. AHHH YES YOU REACHED 10,000 FOLLOWERS YAY YOUUUUUU. Obviously The Scorpio Races = best book. OBVIOUSLY. Oooooh I love your intriguing searches. I especially love the weak get eaten wallpaper & please tell me the story of a beautiful mermaid.. >:D Oooooh I haven’t seen Emily, Charnell, and Nicole’s posts but I’m definitely going to check them out! OMG YAAAS 20 BOOKS SLAY GIRL SLAY. Also omg I cannot wait to see this mega list of new releases 😀 😀 DOGGIE DOGGIE DOGGIE DOGGIE DOGGIE AHHHHHHHHH DOGGIE DOGGIE DOGGIE (you have broken me Cait). I’m definitely going to just howl at my books. It will fix all my problems. THIS IS GLORIOUS NEWS. THIS IS LIKE THE BEST COMPLIMENT OF EVER. WOW! CONGRATS ON WRITING 20 BOOKS THAT’S TRULY SPECTACULAR *throws confetti and gives you 48957839 cupcakes* 😀 I can’t even write 1 book so I ADMIRE YOU MUCHLY. ALSO, your doggy is SO, SO CUTE! GIVE HIM A HUG FROM ME. And SQUEE, so glad you got These Shallow Graves – it was one of my favourite books I read last year! Uhmmmmmm …… I really really want to talk to you and be able to give you some advice and useful tips. But alas (*melodramatic pose with hand on head, sob*). I’m just not worthy. But I will be back tomorrow for more torture while browsing through your amazing blog. But please do think of your little loyal subjects who are growling on the floor here and have a look at how utterly boring our past week has been……http://marelithalkink.blogspot.co.za/2016/07/the-sunday-post.html Ever so grateful to be in your presence. I AM GLAD YOU ARE BACK WHEEEEEEEE! AAAAH CAIT YOU HAVE THE BONE QUEEEEEEN! *DIES BECAUSE IT’S NOT OUT HERE YET* Alison Croggon is actually an Aussie author too, which is why it’s out over there but not here yet. 😀 It’s a prequel to the Books of Pellinor Series (The Naming, The Riddle, The Crow, & The Singing) of which I’ve only read The Naming but fell 100% in love with the character Cadvan, of which The Bone Queen is a prequel ALL ABOUT HIIIIIM. Which means I’m super excited to read it AND SO I’M ALSO SUPER EXCITED FOR YOU TO READ IT BECAUSE I’M CURIOUS. 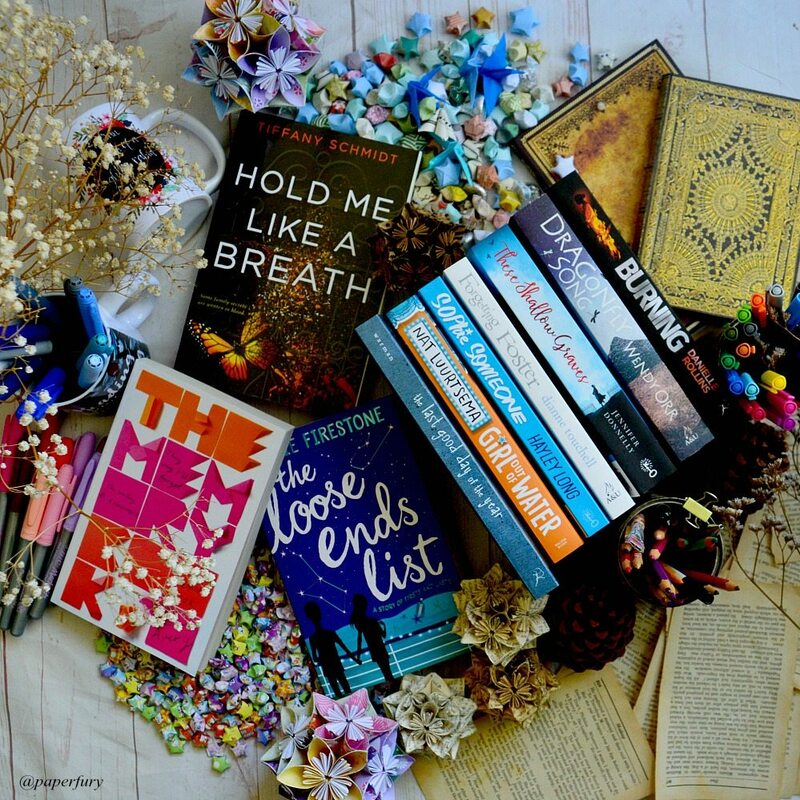 I hope your TBR doesn’t fall on you and kill you! D: I relate though. So much books. Also so many books coming out soon. O_O It’s monstrous. And obviously wonderful too. XD BUT STILL HOW WILL WE SURVIVE??? UGH CAIIIIIIT I NEED YOUR NEW EPIC FANTASY BOOK LIKE I NEED AIR!!!!! *collapses* It also makes me think of Six of Crows and Illusionarium. Which are two of my favorite things ever. OBVIOUSLY YOU NEED TO READ ILLUSIONARIUM AND OBVIOUSLY YOU NEED TO INSTANTANEOUSLY WRITE THIS THING SO I CAN READ IT GOSH. P.S. My June was good and I did a wrapup post for it on meh blog, but the highlight was getting a comment from Stephen R. Lawhead on my review for one of his books. LIKE. HE'S THIS AMAZING AUTHOR WHO I'M IN AWE OF AND HE LIKED MY REVIEW AND I'M LIKE FAMOUS AWK. Also I vote you read The Invisible Library and The Bone Queen first. XD …Which I realize are not for review so are not actually priorities. SO I will also be helpful and say you should also read Hold me Like a Breath and These Shallow Graves first. Yes. Read all four of them first. 😀 BECAUSE I WANT TO KNOW WHAT YOU THINK OF THEM. OMG YOUR COMMENTS ALWAYS MAKE MY DAY. <333 LIKE SERIOUSLY OMG LET ME HUG YOU AND FEED YOU ALL THE PINEAPPLE CAKE BASICALLY. DUDE. You have the Invisible Library! YAYYYY. I mean, what can go wrong with a book about books, right? Right. *nods* I want to devour it soon heehe. Once I read a few...of these....ARCs omg. I swear, I HAVE NO IDEA WHY THEY ALL CAME AT ONCE. WHAT WHAT WAHT I had no idea The Bone Queen was an aussie book! AHHHHHHHHHHHH. *flails* I just saw my library had it and I was like "Bones. Queens. Need." ANd yes the casual "I just wrote a book" thing was 1000% my intention. *flips hair majestically* AS YOU DO, OF COURSE OF COURSE. Ohhhh an amazing author VISITED YOUR BLOG? OKAY YES LET ME FLAIL WITH YOU NOW. CONGRATTTTTS. Ahhh I’m glad we both have The Invisible Library! I mean, what can really go wrong with books about libraries right?!? !😂 I CAN’T WAIT TO DEVOUR IT. Omggg, and good luck with pinterest! DON’T GET LOST IN THE BLACK HOLE.😂 I mean, heeh, it’s awesome. Just I sometimes spend WAY too much time on there. AHHH WELCOME BACK CAIT. You were missed greatly. I want to read your Van Gogh retelling! I understand how difficult it is to write about mental illness. I hope editing goes well! It’s always difficult. It’s such a shame you didn’t like the Death Note ending! I have a manga recommendation for you! You’ll absolutely love Akatsuki no Yona. Let me know if you start it! 🙂 It has a princess, king, betrayal, loss and DRAGONS. I KNOW YOU LOVE DRAGONS. It’s a coming-of-age story too! YYAY THANK YOU! And omg yes some books are just much harder than others *nods* And there’s definitely a HUGE pressure to get it right or else people get really cross. AGHHHHH *runs away in terror* 😂 But I’m trying not to think about edits for a little while AT LEAST. hehe. I MISSED YOUR BINGE-Y PRODUCTIVE MONTHLY RECAPS AND WEEKLY REVIEWS AND EVERYTHING ELSE UNDER THE SUN. Simply because it’s super motivating knowing you’ve written 20 books (congratulations! I wouldn’t even know what to do with myself if I had successfully managed to finish writing one! 😀 You’re brill) and reading all those gorgeous books and getting nearly 10K on Instagram. Also Atticus is adorable. If anything I’ve missed Atticus more than I’ve missed you. And my TBR pile is going to topple over and murder me simply because I think I’m reading more than twenty books at once (I don’t even want to think about how that happened) and so this week (and possibly the whole month) will be spent getting my reading back to a less monstrous length. ALSO IT’S SUMMER IN THE UK AND THE HOLIDAYS. Which means more daytime to go out and do the things, and more time in general to read without straining my eyes/take super cool instagram photos. I can feel the productivity. Here’s hoping it’s a great July for both of us! Omg but Atticus is MORE MISSABLE THAN ME??? MY HEART IS BROKEN THANKS FOR NOTHING. First a hint… there are no lists in The Loose Ends List; ha ha. That one got me too because I love lists also. Yes I did miss you, but I am glad you were writing. Thanks for sharing. The Girl With All the Gifts movie trailer. I looks fabulous. 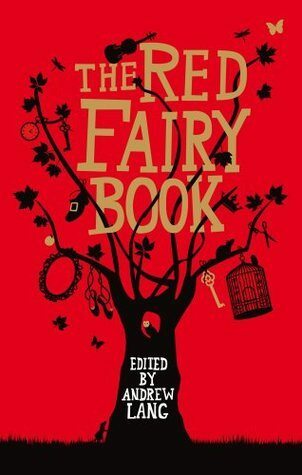 I love the cover of The Red Fairy! I definitely want to read the celibacy blog post because I think there has been a new thing for shaming of abstenance in YA for high schoolers, and I don’t think it is a good thing. WELCOME BACK! Oh Cait, where am I to start? Let’s start with… TWENTY novels!? What even!? I can’t get a half of one finished- or close to finished- or more than gibberish, and here you are, writing like you’re running out of time. (Hamilton, anyone? Sorry, sometimes I forget that I am in Australia when I pop in here.) Girl Out of Water is Goldfish, right? What is up with the title changes when we speak the SAME LANGUAGE? LET’S JUST SAY I’M A LITTLE OBSESSED, SHANNON. I’M SURE IT’S HEALTHY. And how shameful is it that I don’t listen to Hamilton?😂 I just don’t like rapping and it’s rapping isn’t it? Yes yes I know. I’m uncultured swine. BUT I CAN’T HELP IT FORGIVE ME. And omg I have n idea if Girl Out of Water has a different title. :O I should probably look that up. Title changes are the worst, tbh. I’ve borrowed two books from the library thinking I’d have two reads from a favourite author only to discover THEY WERE THE SAME BOOK JUST DIFFERENT TITLES AND WHAT IS THIS LIFE. The person who can’t decide between Annalise and Gabriel needs to reread the series and quietly think about their life’s failings. Some of Hamilton is rapping, yes. But not all of it.. I don’t know how much Australians would care about it in general though? I mean, it is really just about this Founding Father’s life story. I feel like this is a good step for America though, because we are usually asses who don’t care about history (not me, I love it, but in general), so I mean, better us being obsessed with this than like…. Candy Crush. Do people still do that? What about Angry Birds, those were weird. Glad I missed those obsessions. I don’t know anyone who liked HMLAB either! NO ONE. Which is saying a lot. I have heard the sequel is better, but I feel like someone may just be trying to play a nasty prank. HAHAHHAH OH SHANNON. LET ME TELL YOU A STORY. Actually, I won’t tell a story because that would be tedious and long. Ahem. But in Australia we actually learn a lot about America.😂 I homeschooled with an American curriculum so like 70% of my school work and reading material was mega American. (Although I’m guessing kids who go to public Aussie schools would have more Aussie things.) But like most of our media is America anyway, so we knoooooow about your country. (That was not creepy at all.) Ahem. So YEAH. The fact that Hamilton is about Founding Father’s doesn’t bother me so much.😂 Just the rapping. But if it’s not entirely rapping then I SHOULD LOOK IT UP. SOMEONE CALL THE WINCHESTERS FOR THAT WALLPAPER EATING HOUSE OMG PLEASE. You are hilarious and Atticus is adorable! What a great month, so freaking exciting about your writing!! The Unexpected Everything was a good surprise for me, too and I really want to read Magic Bitter Magic Sweet. Here’s to a great July!! OH OH. You put Titans under ‘worst books’????? WAS IT THAT BAD???? I still haven’t read it yet so I need your professional opinion. I’m glad you had a good month, Cait. ^ ^ It sounds like you had fun. A Van Gogh retelling? Ever since Doctor Who I’ve fallen in love with Van Gogh. XD He makes me cry now. My reading was all right this month. XD June was the end of three months of enormous stress so now I’m turning over a new leaf for July. I am reading the Raven Boys though currently. 😉 Happy July! Van Gogh is SUCH an interesting historical figure! *flails* I’ve done a super loose retelling but I’m still really excited about it. AHHHH. After edits, omg, so many edits. Oh I’m glad July is going to be less stressful for you. Eeek, stressful months are very draining. AND YOU’RE READING THE RAVEN BOYS AHFDASFDLKJALD I HOPE YOU LIKE IT OMG ALL THE HAPPY TEARS! I’m still getting into Raven Boys. I’m hoping I’ll like it more when more Welsh mythology comes in. I’m a sucker for mythology. Oh my gosh. Ok, so, I have a copy of The Girl With all the Gifts. I knew it was about zombies. But nice kiddie zombies. NOT SO MUCH DEATH AND HORRIBLE ZOMBIES, and I don’t know if I’m going to be able to read it now, because horror and I do not get on, and I’m scared. But the movie looks amazing! But again, I think I’d wait to see it on DVD or something, because I don’t think I can bring a cushion to hide behind to the cinema. And I will definitely be reviewing The Memory Book and The Loose ends List SOON. I’ve only heard bad things About The Loose Ends List though eeek, so I’m nervous about it.😂 I JUST FINISHED AND I DARKEN AND I LOVED IT AND I SHALL REVIEW IT AT THE END OF THE WEEK PROBABLY. And it’s actually a good idea to read my reviews here as opposed to Goodreads because I actually edit them here. hahahaha. OH DEAR, CAIT, SO MUCH FAIL ON GOODREADS. Ahem. Yeah, June was a good reading month. I read Phantastes, by George MacDonald, which I’d attempted twice before when I was younger and failed. This time I couldn’t get enough of it though. I absolutely loved it. And I read my first Rainbow Rowell book which was interesting. Agh, sorry, I can’t help with choosing one. I would be in just as much of a quandary if I were you! YOU ARE SO WELCOME, DANIELLE. I CAN SEE YOU BEING SO HAPPY THERE AS YOUR TBR COLLAPSES ON YOUR HEAD. Ah, yes, I’ve always wanted to go see a chiropractor! Not at all. I liked it a lot! It was “Carry On.” Not her normal genre from what I’ve heard, but it was well written and I loved Baz. OHhhh I did like Carry On! BUT YES very different from what she generally writes. (I mean, I loved Carry On except for the part where I feel like it’s ripping off Harry Potter? ?😂) Fangirl is my favourite Rowell book!! Cool, I’ll read Fangirl too! I’ve always wanted to read Lock and Mori! (And almost every other book, but you know. must have Sherlock priorities.) Also, that Sherlock gif is the. best. ever. And ATTICUS IS SO ADORABLE! I didn’t do much except finish Red Rising. Which is SUPERB! I loved, loved it so much. It’s a new favorite now. I love the brilliant plans and Darrow, and Sevro, and Mustang, and, and. . . I need to read Golden Son. BUT I’M A LITTLE SCARED FOR PEOPLE’S LIVES. Ahem. It’s a good book. I'm so so glad you love Red Rising. <33 It's seriously one of my FAVOURITE books of ever. But *whispers* the Golden Son cliffhanger WILL HURT YOU SO BADLY. Just so you know. Oh my, that is quite the lovely haul of books! I’m both super excited and deathly terrified for the rest of the Illuminae series, haha. Congrats on 20 books!! Good luck with your adult fantasy, it seriously sounds amazing! I don’t even know where to start with all the upcoming new releases, haha. It’s an eternal struggle. Ohh oh yes I’m terrified for Gemina too.😂 But will I be reading it? OF COURSE. hehe. But anyway, hilarious and memorable post as always! Cheers! Let’s have another round tonight! Okay, Cait – I don’t know how I missed this post that you wrote 10 DAYS AGO – apparently, I have been hibernating. Anyway, I agree with you about Death Note – while I enjoyed the series overall, I definitely think it went downhill somewhere around book five (which I think is where I took a week or two off from reading). It just got more and more preposterous! I JUST FINISHED SINNER LIKE AN HOUR AGO, WHAT AND HOW AND WHO AND IT WAS INCREDIBLY PERFECT YES YES YES IT WAS. I love Leon???? A LOT. CALL ME THE LEON FAN CLUB PRESIDENT. VGV retelling sounds amazing. I looove him. Congrats on reaching 20! Also, adult epic fantasy?? SOUNDS SUPER BRILL. Good luck! I missed you Cait and all of your books. How do you read so many! I love your Society 6 designs. Ahhh, hello Skye! WELCOME BACK. CAKE FOR YOU. And omg thank you about my designs. <3 That's super nice of you to say! I don’t know how I’m just now reading this post now, but whatever, what is order and what is time?? VAN GOGH IS REALLY INTERESTING. I learnt a lot about him while researching this book haha. Although it’s like a super LOOSE retelling because I couldn’t help myself.😂 But thankyou, Michelle! !